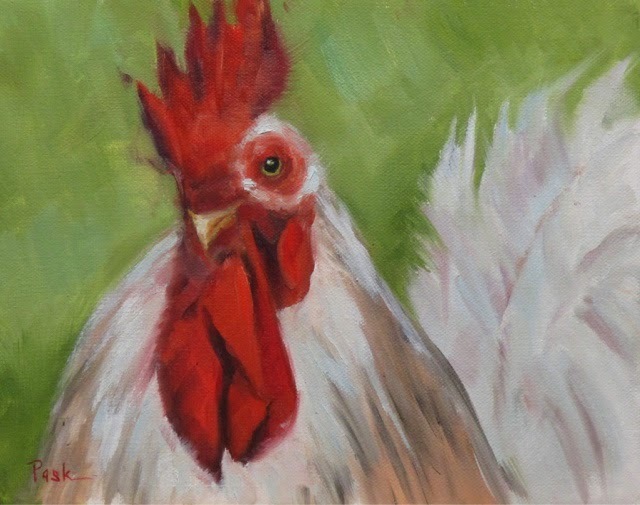 Hi there, isn't this a handsome boy, I think he has his eye on the girls, lol This is oil on a 8" x 10" canvas. Fun to paint and I just finished a chicken too. This is great! I love the composition and the color... great expression on his face! Oh thank you so much Helen!